Address given on November 13, 1957, at The Industrial College of the Armed Forces and later published as iCAF Publication No. L58-54. 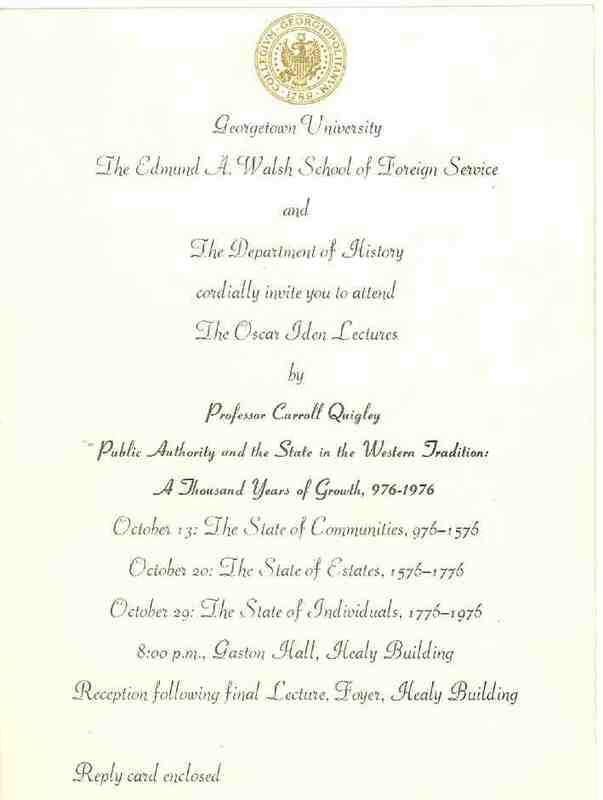 Address given in November 1966 at The American Studies Association. Dissent: Do We Need It? Address given on August 24, 1970, at The National War College and later published in Perspectives in Defense Management (January 1971), pp. 21-30. Address given on August 17, 1972, at The Industrial College of the Armed Forces and later published in Perspectives in Defense Management (Winter 1972-73), pp. 49-58. His last two lectures for this Georgetown University undergraduate course.